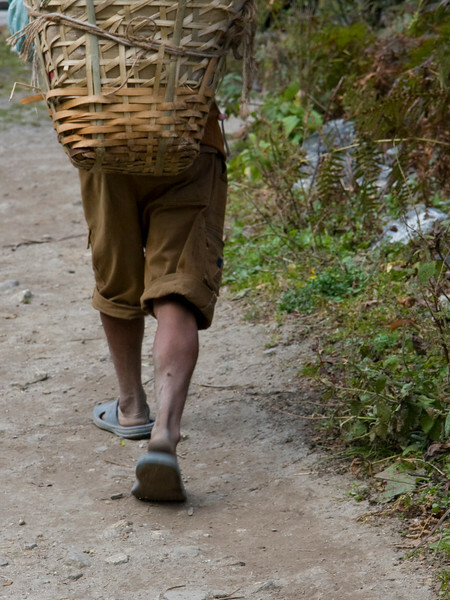 Porters in Nepal don't use any fancy equipment to carry their large loads. In fact, their simplicity of gear is what amazes me. Men and women do this thankless task of transporting unimaginable things up and down mountains. There are no/few regulations and their salaries are minimal. These photos show their burden.